The filter inserter is an upgraded fast inserter. 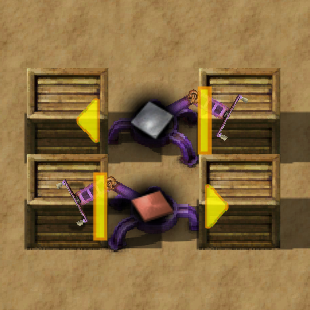 It has the same speed as a fast inserter, but has a configurable filter that allows the player to specify what items the inserter is or is not allowed to move. 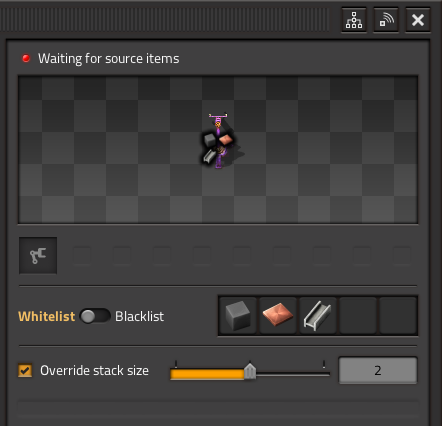 The player can specify up to five types of items by using the left click menu. This page was last edited on 14 March 2019, at 06:49.